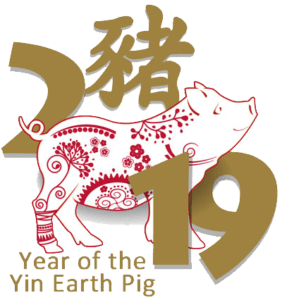 How to make the most of the year of the Yin Earth Pig/Boar (Ji Hai) with the 2019 Feng Shui Cures & Enhancers kits. 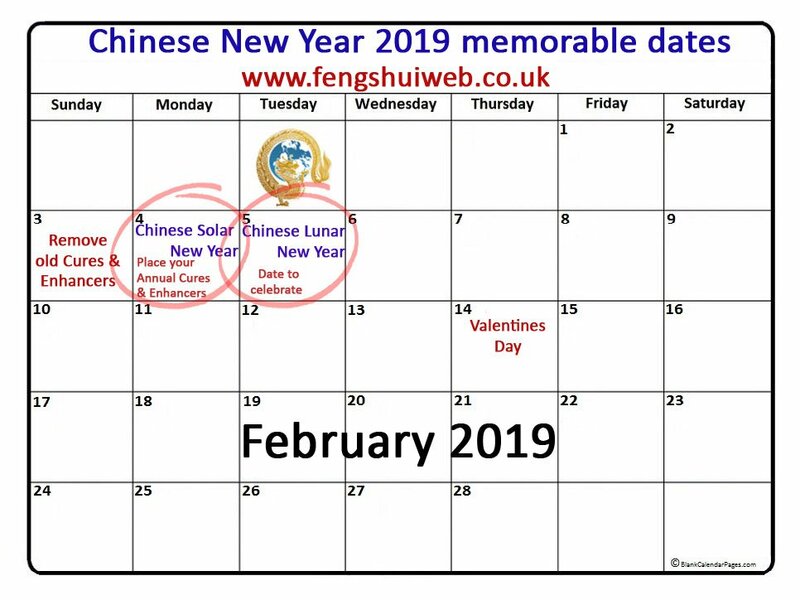 In 2019 Chinese New Year 2019 begins on Tuesday, 5th February and ends 25th January 2020. 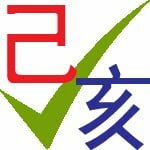 The year of the Yin Earth Pig (Ji Hai) 2019 follows the Year of the Yang Earth Dog 2018 (Wu Xu) and before the long-awaited year 2020 of the Yang Metal Rat (Geng Zi)! The Pig occupies the last twelfth position in the Chinese horoscope. You are a Pig (aka Boar) Chinese Zodiac if you were born in the following years – 1935, 1947, 1959, 1971, 1983, 1995, 2007 or 2019 between the 4th February of the year to the 3rd February of the following year. An example would be if you were born between the 4th February 1959 to the 3rd February 1960, you would be a Yin Earth Pig. As we have a Yin Earth year in 2019, we can expect mixed energies although there should be good news on the horizon with world events and hopefully a more calming influence in Middle Eastern countries with huge leaps forward in relationships worldwide. 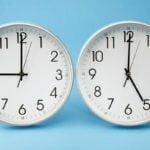 Finances can cause problems worldwide in 2019 and with a dominant earth energy with a yin polarity, we can expect issues with global finances and stock markets and very special Feng Shui earth cures and enhancers are much needed in 2019 to not only avoid a financial loss but to also generate new income. 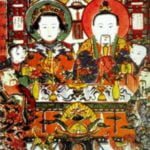 With the right Feng Shui cures and enhancers, 2019 year of the yin earth Pig can be a very good year in so many ways although it can also be a year for sorting the wheat from the chaff and whilst you may lose friends, work relations and other connections, this usually is a good thing and better for you in the long run. Those who have elements of wood and water in their Chinese astrology are more vulnerable than others although there are many cures you can put in place to help ensure an auspicious 2019 year of the Pig. The conflict animals in 2019 are said to be those born in the year of the Snake and Monkey although if you follow our advice here and place all the annual Feng Shui cures and enhancers you can avoid many problems and those Tiger’s, Rabbits and Goats, even though the year looks good on paper you should still use the annual kit for 2019. 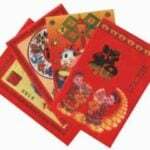 How to make an Ang Pow red envelope and the reason they are used all over the world. Red envelopes (Ang Pow, laisee, lai see, hung bao) all you need to know. How the Kitchen God can help you in 2019 during the year of the Pig. Why it is auspicious to receive a pair of slippers as a present on Chinese new year but not a pair of shoes. Yellows, browns, golds and grey colours and shades. Those born in the year of the Snake or Monkey could be affected by the conflicting influences of the year of the Yin Earth Pig. Although the Snake is the conflict animal of the Pig year, those born in the year of the Snake should be aware of potential difficulties they may encounter during the year and take extra care in whatever they do without taking unnecessary risks in all aspects of their life. Regardless, if you follow the advice here you can avoid many problems and enjoy a great 2019 in our opinion so do not panic. It should be noted that there are five different types of each Chinese Animal (fire, water, wood, earth, metal) which depends on the year you were born and each different animal will have different predictions for the year ahead; you can find out more about this in our 2019 Feng Shui guide which should be released around November 2018 so please be sure to check back on this page. The degree of this influence varies from one person to another. One of the major considerations is the heavenly stem of the year in which one was born so if you were born in 1929 or 1989 which would be an Earth Snake, the year will not be bad at all. Grand Duke in 2019 is in the northwest, 322.5 – 337.5 Degrees. We will be writing and publishing the Chinese animal predictions for the year of the Yin Earth Boar for the Rat, Ox, Tiger, Rabbit, Dragon, Snake, Horse, Sheep, Monkey, Rooster, Dog and Pig around October time so please keep checking this page and it would be worthwhile bookmarking this page now as there are normally over 130 pages that are uploaded for the year. Yellows, browns, golds and grey colors and shades. Grand Duke Tai Sui Northwest, 322.5 – 337.5 degrees. – Avoid sitting facing the grand duke or disturbing him by having renovations. You have everything in your power to make this a fantastic year! I hope this helps and wish you a hugely successful and happy year. My husband is born on 21st July 1983 , boar. His finamcial n career hasn’t been doing well for the past 2 years. Able to advise? I would suggest taking a look at the 2019 Flying star analysis for the #8 and #9 stars as these are wealth stars and can enhance career luck. I was born on July 17th, 1977 (Lunar Calender), the year of the snake. I have a few businesses and I would like to ask how I can avoid any negative flow, and ensure all my businesses will still be successful this year. 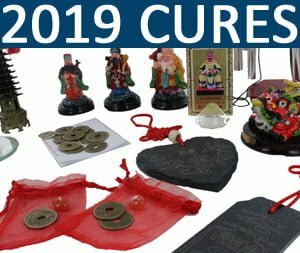 The best thing I can recommend is the 2019 Cures and Enhancers kit as this covers and protects all areas of your life for the year of the Pig. The best thing I can recommend is the 2019 Cures and Enhancers kit as this covers all areas of your life for 2019. As a Fire Snake, your husband should carry an animal protection charm of a Monkey. Hi sir,,I want to know what business suits for me this year of the pig, and my lucky charm? God bless you. If you could let me know your date of birth, I will be able to tell you your suitable jobs. Good luck with the building work, Tess. I will be publishing the March Almanac in the next few days so be sure to check back at the end of the week on the blog section. Hi again sir,,I want to know what business suits for me this year of the pig, and my lucky charm?God bless you. If you could let me know your date of birth, I will be able to tell you the best careers suited to your Chinese Animal and your protection animal. I was born on March 29, 1985, Year of the Ox. Please advise what to do to to block negative energy for 2019. both in wealth, health, career & love. 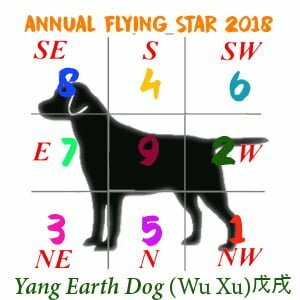 To take a look at how 2019 could go for you and how to make the most of it, I would take a look at the 2019 Flying star analysis and Chinese animal predictions as this will give you a great start to 2019. Ma’am can i ask if can you tell what is the best date, month to open or to transfer for my new house even if still not yet fully finish. ok il try to open that links. If you can tell me what month you are looking to move and I will be able to give you the best date. I am a wood-snake. Born 15/7 1965. How can I increase or activate my luck? What colors should I wear? What kind of charm should I have on me? These days have been hard on me, and I do not want to this year to hard aswell. Sorry to hear that you’ve been going through troubles. 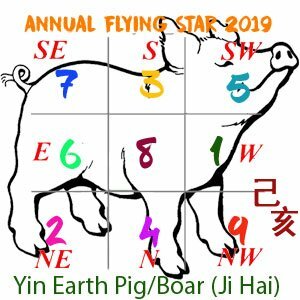 I would recommend taking a look at the 2019 Flying star analysis and 2019 Chinese animal predictions to help you make the most of the year of the Pig and gives you advice on colours, charms etc. Here are the links for these two pages, Liva. I want to sperate living with my inlaws. Where should or best direction place should i find to live? Is it east or south?pls. Help me. I would suggest taking a look at the 2019 Animal predictions to see how your year could turn out. Your best directions are the east, southeast, north and south. Hi, do i need some annual cures for this year. Pls. Teach me what should i have one..thank u. Im uear of the ox. Virgo zodiac. I would recommend placing the annual cures and enhancers kit for 2019. Hi! I was born August 19,1990 , year of the horse . Would you give me an advice about financial thing. I am struggling with financial issue until now. I just got married last October 21, 2018. Would this year be a good year for love between me and my husband. Thank you. I was born December 10,1985. Im female and was born in tarlac philippines.Im planning to have a chocolate business this year.. what date will be ok or if this business will work?thank u! When the southwest section is your master bathroom, do I still put a salt cure and 6 coins in a row in that section number 5 or does the water from bathroom do something. Also the middle of my home where number 8 wealth is located is our hall bathroom and closet. If this is wealth do I still your the cures you listed? Not sure if bathrooms with water and tub etc. change things. I would still place the cures and enhancers in the bathrooms if you are able to as these areas affect the whole home and the occupants. I was born Jan 17 1983 and my husband was Dec 09 1981..we often had financial issues like even we even had new agricultural bussines and he had been promoted still we always short in finances..
Hi, I was born on the 25th day of April 1975 year of the wood rabbit, will this year 2019 help my financial conditions, will this year be a good investment? help me please analyse my future. thank you. Was born Feb 6, 1979, Female and born at Dagupan City, Pangasinan but living here in Tondo, Manila. Been in same financial stage since marriage, have 4kids now all girls. Any suggestion for a wealth change and good health as well this 2019? I am born in the year of the water pig whilst my current partner is born in the year of water monkey. So far we mostly get along with each other. He has a Zodiac sign of Libra. Are we incompatible? In business, these two can form a very successful business. They both need new challenges to keep the relationship bright. In love, this can be a very exciting and eventful relationship but when problems arise expect to see sparks. I was born april 5, 1981 please advise me what to do to block negative energy, how to start a business and attact money so that i can pay all my debts in 2018. I would recommend taking a look at the 2019 Flying star analysis as this will have everything you need to make the year a successful one. I’d also take a look at the Chinese animal predictions for 2019. If you find your date of birth, this will tell you what your Chinese animal is. I would like to ask some charms for business I was born on June 20,1973 and my wife born on November 18,1974.thank you! happy New year! Hello. I’m a water rat (1972), and I wanted to know if the #5 position or the number 5 is OK for me? Thank you. The #5 star is very inauspicious and should be avoided if possible. If you are unable to avoid the area where a #5 star is located, I would introduce metal. The number 5 in numerology is an ok number to use. Is it lucky to move to a new house before or after New Year. My birthday is March 14, 1977. What lucky objects do I bring in when I move I to a new house? Hi Apple, I would move in before Chinese New Year if you can as this will give you a fresh start in a new home. I would recommend placing the 2019 Cures and enhancers kit as this will cover every area of your home. Good luck with the move, Apple! Just want to ask if what possible charms i coud use for good health , wealth and good relationship. I would take a look at the 2019 Flying star analysis as this will tell you all of the advice you need to make 2019 a successful year. I hope this helps and wish you luck in 2019. I would focus on the monthly flying stars for the rest of 2018 and would recommend reading through the 2019 flying star analysis as this will tell you everything you need to know to change your finances and other areas of your life. I hope this helps, Drei. Helllo!! I was born October 1979. I know I am Goat/Sheep. For couple of years now, I have a financial issues. Can you suggest any amulet to help me my finances will help through it and my love life too? I have been an abusive relationships in the past. It would be nice to have a loving & supporting relationship with my life partner soon. I know my best compatible sign is horse. Thank you. The best thing I can recommend is the 2019 Cures and Enhancers kit as this covers all aspects of your life in 2019. I would also recommend reading through the 2019 Flying star analysis if you haven’t already as this will give you a lot of information on simple changes you can implement to improve your relationships and finances; I would look at the 4 and 8 stars in particular. I hope this helps, Gevie and hope that things improve. Hi I am an earth snake. what possible charm should i have to increase my luck in year 2019. I would keep a gold plated Chinese animal protection talisman card of a Monkey or a Monkey jade protection keychain on you as much as possible, Angel. Hi. I was born in December 30, 1978. I could say i’d been plagued with money related misfortunes for the past few years now, any suggestion to make 2019 different for me and my family? Thank you in advance and more power. 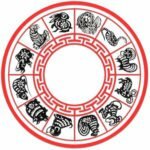 As a yang earth Horse (Wu Wu) born 1978 proving you follow the advice on this page, it is expected your year will go well and we all wish you the very best for the rest of this year and all the years ahead. The other side if the walk is the kitchen. You can use a virtual cure lie a picture of a beach, fish in water or similar and whilst not as powerful as real water it still has a great effect. Can i ask some charm for a bussines? 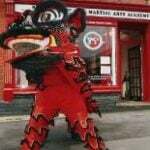 as you were born in the year of the Pig, I would display an image of a Tiger although do not place the image close to the main entrance especially if you own a retail shop. Very impressive. I have heard of Feng Shui before, now I truly believe it is very CONVINCIBLE. First for most, thanks to one of my best friends who has told me her story lately. she has been an energetic brilliant career woman. Her business had taken her travel all over both abroad and domestic. However, she felt uneasy, uncomfortable or a little bit sick every time she was back home from outside. This reminds me of Feng Shui, perhaps the location of her residence or what? A few years ago, when she finally retired from her work, she had a medical check and diagnosed a certain disease. So many mysteries has remained unknown UNTLL a Feng Shui Master has pointed out some serious problems around her daily life. What I want to clarify is that Feng Shui could / would have prevented misfortunes, confirm the causes and risk factors for everyone. We live but once, we might as well be amazing. With the guidance of Feng Shui best wished to all my friends, everyone. How to enhance the centre of home when it’s an area of foot traffic and putting any object in the centre will not only look ridiculous but cause accidents? How do I take advantage of the Wealth Star? You are right, in some homes, it may look odd and if this is the case just make sure you do not clutter the centre of the home at all and keep it squeaky clean and make sure you activate and cure all the other sectors of your home or office. It depends on so much and if you send me your DOB, gender and place of birth I can calculate some dates next year although you will need to give me an idea of the month you think this will be as it is very time-consuming to do every day next year. Can you advise when 2019 Cures will be available to purchase? I was born 1978, Year of the Snake. Please advise what to do to to block negative energy for 2019. Thank you and more power. According to the Flying star 2019, the wealth star 8 which is for Money, Wealth, Prosperity and Abundance comes at the centre. So how can we enhance the Star 8 sector with an aquarium? Do we need to place the aquarium at the centre of the home? Yes, you would need to place it in the centre of your home or office for 2019.